I don’t know how much you’ve been into the fantasy world of Tolkien and his great linguistic mind, but trust me, there is no better quote to relate to the action series Canaan than his very own seen up there ^. 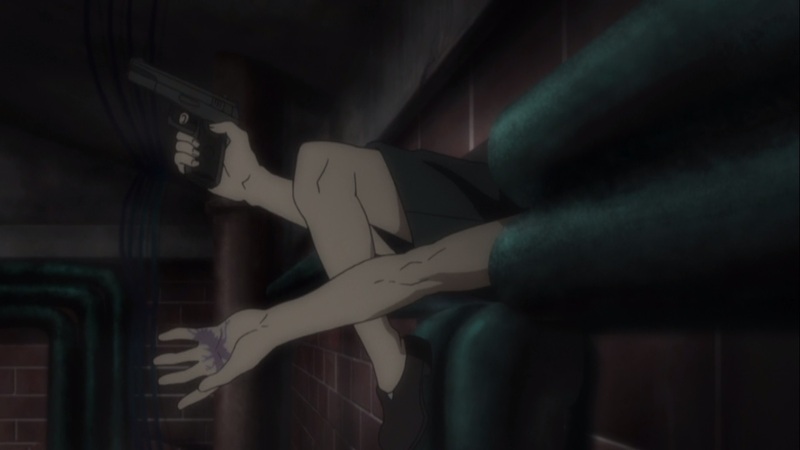 From sniping to chemical weapons to something entirely out of this world – this anime will make you rethink how good Jormungand was (if you watch the old anime I’m now reviewing for you after the Big Snake). 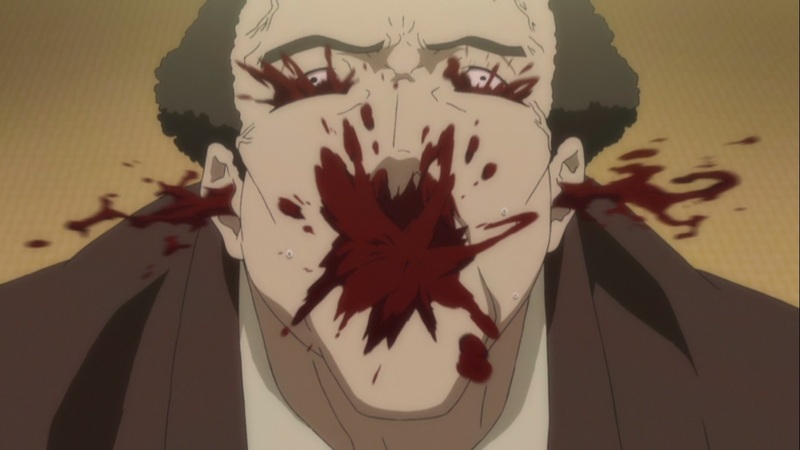 Read the full review below, but be aware – there is blood, not-very-clothed females and all other seinen-related things. Spoilers as well. Canaan is a rather romantic story of the love between a master and a pupil, between the father figure and his adopted child, between two friends whose fates would have never been the same without the other and so much more! Excited as I may seem, you should know that this anime is based on the original visual novel game by Takashi Takeuchi and Kinoko Nasu (Type-Moon co-founders), the 428: Fuusa Sareta Shibuya de game is one of the very few to have been awarded a top-score by the Japanese gaming portal Famitsu. This happens when you cannot overcome the virus. 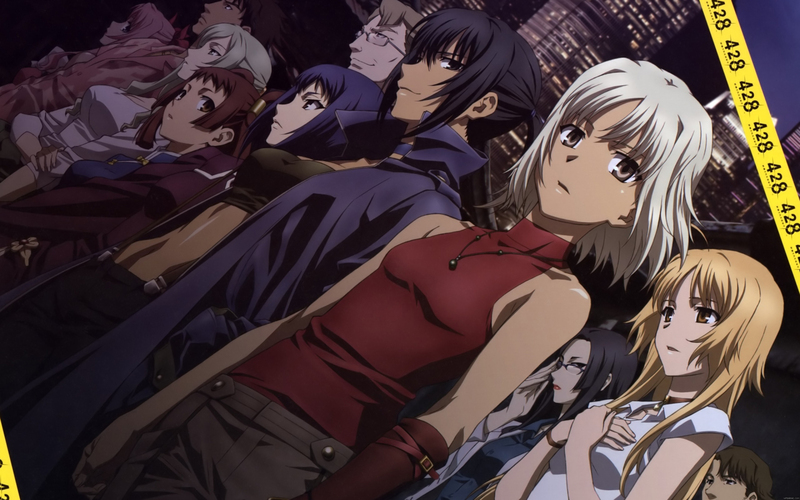 Otherwise, this anime tells us of Canaan – a teenage girl (early teens) who is one of the top hitmen in the world, being hired only for the most difficult tasks and places. She’s been taught it all by a person she considered a father, a teacher and a coach in both life and work. After being her whole life with him, working as well as having everyday fun, he is killed right before her eyes in a world-shattering event by an unknown female. This even leaves a lifetime mark in Canaan’s mind and she will not leave the other woman to live on if she sees her. Well, this does not take long and Canaan meets Hebi (snake) – a terrorist organisation, hiding behind many other deeds and faces, led by Alphard – the very woman who killed Canaan’s most important person. Another main character is the young photographer Maria Oosawa who comes in the same country as Hebi and Canaan by chance – a sudden job position with a low-level gossip reporter named Minoru Minorikawa. Naturally, the initial idea of them reporting just about a very important anti-terrorism conference just doesn’t happen and they become involved in something much bigger. Hakko is one of the few who got infected with the Ua virus who survived. Her special ability is related to sounds. A you can see – good looks are not a taboo in this show. Generally speaking, everything is connected by the Ua virus – an experiment or a naturally provoked genetic disorder that either kills, harms or makes the infected very strong. Infected by it are many, although everything has been laid in secrecy by now. This action series has so much in its story and plot that some wonder if it should even be in the list alongside other purely action shows. Naturally, I wouldn’t put it there. It is a gateway to adventure and to war anime, which are both some pretty heavy stuff. The story takes us further away from the simplistic and normal by leading us to the genetic experiments Maria’s father did with humans in a faraway zone. Many people were infected with the terrible Ua virus and hundreds did not survive. Most of them died a terrible death and those who lived are now victims for life – under the eternal influence of Hebi. The organisation holds the rights and only supply of the medicine that slows down the effects of the virus and lets the infected live. Naturally, the terrorists don’t give it for free, but use the special abilities of the infected for their own means. This is one of the other survivors from the experiment. His ability is related to flexibility. I took too long spoiling all the story for you, sorry about that! Now, on to the soundtrack and ambiance… It has its flows and there are the occasional, sometimes-inadequate sounds and music pieces. However, you won’t find any new anime series with a better OP and ED than Canaan. Fast-paced, smart-made, fitting the anime genre and style, the video footage… I enjoyed them both a lot. Not to mention that there are a few anime TV series nowadays that made me think “this is definitely exciting” like Canaan’s did for me. Just listen to Faylan’s Mind as Judgement and Annabel’s My Heaven. My advice to you is to get up and watch this short anime, play the game if you prefer – it’s worth the time. I actually completed this yesterday because of this review. Thanks! This is awesome news! Thank you. Did you like it? One of my favourites. Thank you for the review!